"Fusion" of two fermentation cultures respecting the great Italian and Japanese great food and wine history. The city of Yuasa in the Wakayama region is the birthplace of Japanese soy sauce. Here we find the Marushin company, founded in 1881 that continues to produce, with an ancient method, the soy sauce called in Japanese "SHOYU". During the production phase of Shoyu the "MOROMI" was born, with which a young Japanese entrepreneur, Yoshitomi Miyamoto, proposed to give a new life to a typical Italian cheese giving it the imprint of ancient ... Japanese tradition! In the Wakayama region where the Marushin company is located, Yoshitomi Miyamoto has its own cheese shop called "Copain de Fromage" where he also manipulates cheeses, trying to convey the Japanese food and wine culture to the world. And it pursues this purpose by modifying and giving birth to new cheeses by combining or adding some ingredients such as aromatic herbs or wine marc or other products. Pursuing this passion, Miyamoto conceived the dream of Moromi Formaggio. The very high quality Moromi of the Marusin company is produced with black soybeans. Even in Japan itself is considered an important ingredient for its value due to the rarity and quality and many famous Japanese chefs appreciate it a lot, using it in their preparations. 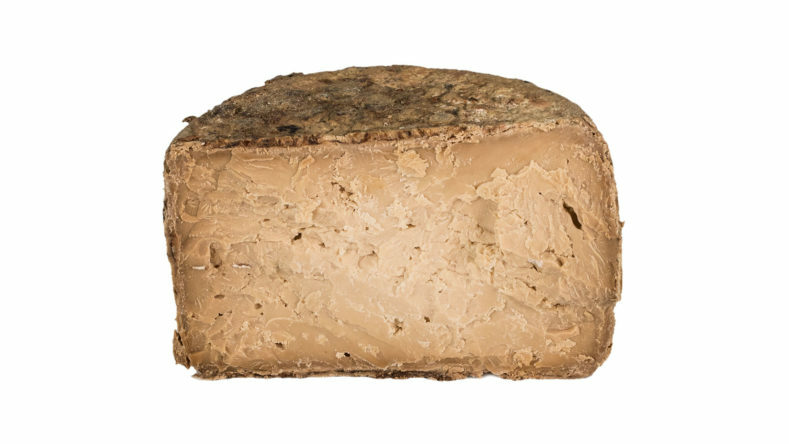 Miyamoto brought Moromi with him to Italy, exactly in Piedmont to Arona, where he asked Carlo Fiori Guffanti, a well-known Italian refiner, to experiment with the result obtained with the marriage between Italian cheeses and Moromi. After long and various trials lasting about a year now a fabulous cheese was born, the MOrmaggio! It is a product that crown Miyamoto's desire to combine the two fermentation cultures: the Japanese one of Moromi sauce and the Italian one of well-selected cheeses to be bred and carefully evolved. Founded in Arona in 1876 by the founder Luigi, the company of selection, maturing and aging of cheese is now managed with passion by the Fiori family (Luigi Guffanti is the great-grandfather of Carlo Fiori and great-grandfather of his sons Giovanni and Davide who represent the fifth generation) and is considered an excellence throughout Europe and the rest of the world. Most of the cheeses are the result of the work of the producers who, to complete the best seasoning and enhancement of the product, rely on the work of the refiners. These can be considered second-level producers because to the knowledge and ability to select, combine professionalism and structures suitable to be able to manage the best conditions to enhance through time and assiduous care every cheese. It can be said that the producers are the true parents but the refiners are the adoptive parents! Carlo Fiori Guffanti, superspecialized and esteemed also in the valorization of the spicy Gorgonzola Dop, tried to season several types of cheese with the Moromi repeatedly and at the end he managed to obtain a convincing result, using a typical soft cheese from Lombardy. As a base, a typical cheese is used which is produced in Lombardy according to the technique of acidic and broken pastes and obtained from pasteurized cow's milk. The processing begins at the producer that proceeds with water and salt and then, the company Guffanti, after an initial maturation of about 60 days, begins the marinating using exclusively the Moromi of the company Marushin. Everything takes place at different temperatures in the various processing steps and controlled humidity; and the shapes are continually carefully dried and cleaned for a period of up to 120 days: at the end of this cycle the MOrmaggio is born. Originally, the basic cheese has soft paste but with the treatment under Moromi it loses moisture and at the end a more compact and concentrated cheese is obtained. 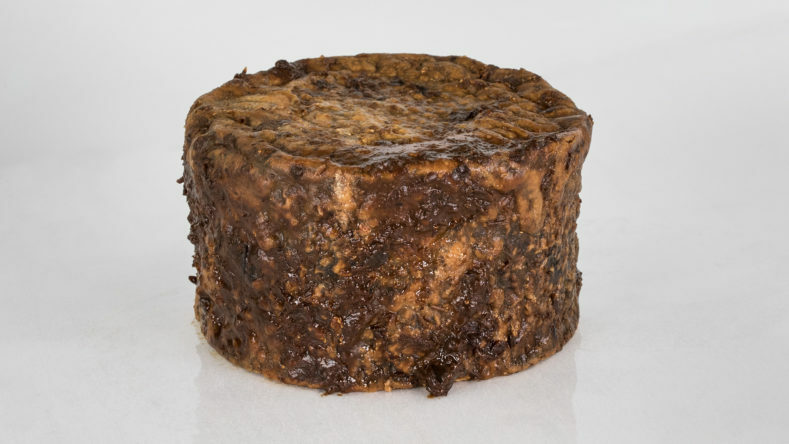 The dough takes on a friability similar to the large roasted cheese (such as the long-aged Castelmagno DOP); the friability of the heart and the subtle creaminess make the product also characterized by the particular scent of soy sauce exceptional. The MOrmaggio also presents the possibility of a long natural conservation due to the protective action that characterizes Moromi.